I thank you for the extraordinary support. By the way, I have sent a request to Bytescout regarding the SDK, I have received the reply and I am working on. Text recognition from image (OCR in PDF to text). See the documentation for the full set of all features and extraction options. Why choose ByteScout PDF Extractor SDK? The first thing to notice is an extremely friendly user interface of all our tools. It helps you to operate a toolkit easily and to understand the tool even if you are a beginner in programming. Next and the most powerful feature of our products is a mix of sophisticated technologies we use when developing the tools. We run experiments in order to deliver a better solution. We analyze the needs of our users and try to adapt SDKs and API to meet your requirements. You are welcome to use ByteScout customer support. It has a personalized approach and is great and helpful as noticed by our customers. Finally, you’ll find a bunch of source codes and documentation that makes it easy to use our tools. In Automative industry, gather the information from provider archives and requesting shapes. 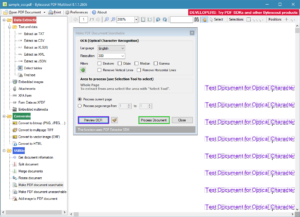 If you need a powerful tool to extract text or raw images from PDF in C#, then check our updated software on ByteScout. All of the APIs included are easily accessible and optimized to developers with any level of experience and knowledge about electronic documents. 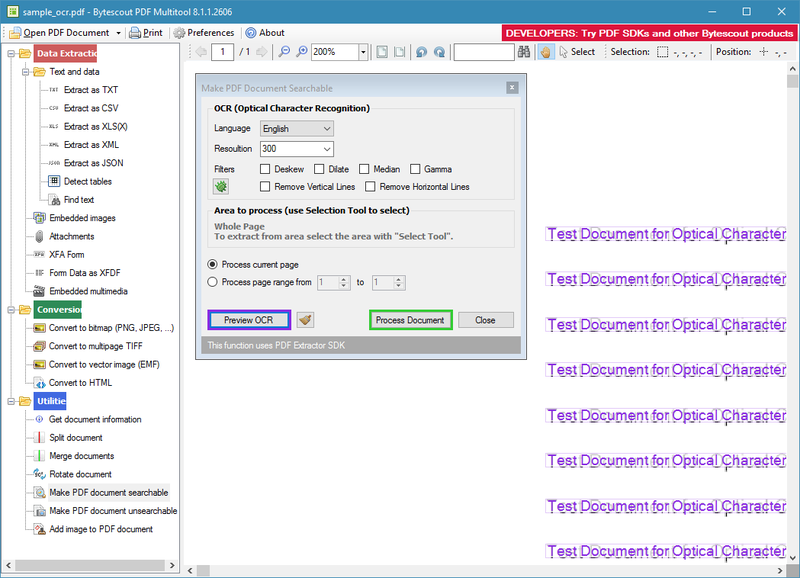 You can try the Trial version to extract data from PDF with C#, the extraction process is easy and fascinating. The product includes the image to text functionality (OCR) that works for English, German, Spanish, French and many others including Asian languages. For noisy images or scanned documents, the product includes special built-in filters to clean them. 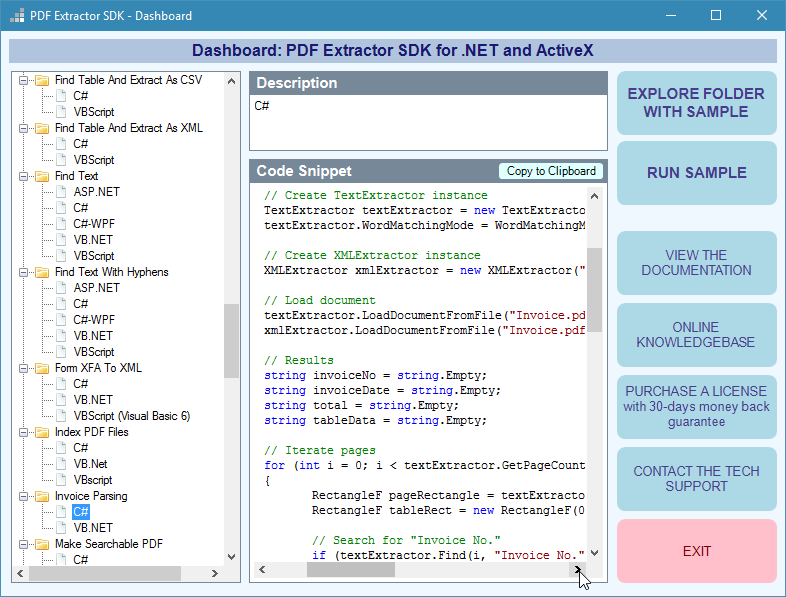 PDF Extractor SDK is a fully functional suite that includes functions to extract text, images, tables, text from images, raw images, forms, and field data. 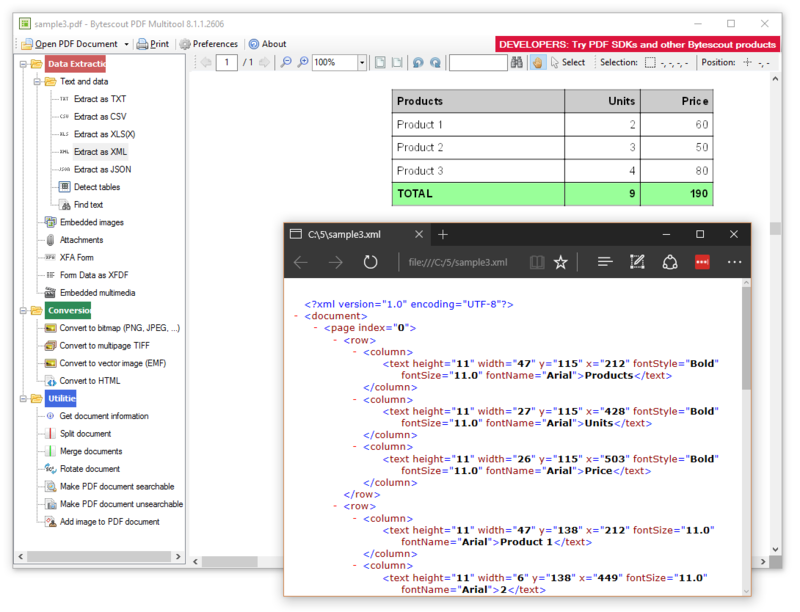 We have comprehensive documentation and tutorial set to make it easy for you to extract text from PDF with .NET. PDF Extractor SDK is also capable of extracting and repairing damaged text from PDF files. Special functions for the text reconstruction are powered by the included images to text engine. Text repair works for English, German, Spanish and other languages. 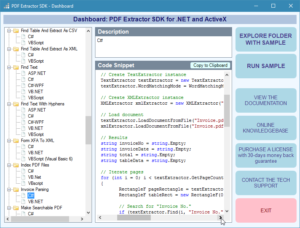 It is easy to extract tables from PDF using PDF Extractor SDK with the automated table detector. 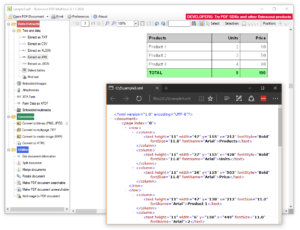 Tables can be automatically selected and extracted as CSV, XML, or JSON data.